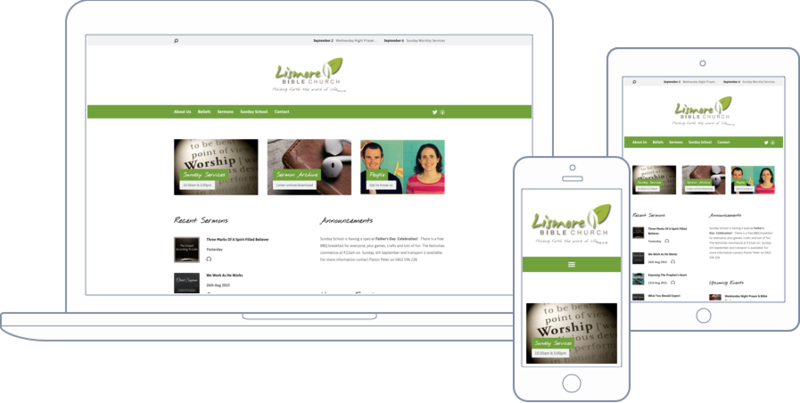 Lismore Bible Church was a great project. 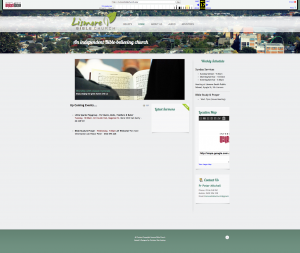 Because it’s a small church, they didn’t have much content to work with, but what they did do was record sermons. So built in to the website is a podcasting feature, allowing them to easily upload audio and syndicate it out to the podcast format, opening up their audience and consumerability. With their old site, audio recordings were only kept for a few weeks and were not syndicated to podcasts. This was due to the small allocated space from their hosting setup. I was able to set them up on their own server for a comparable price and now they have 20GB of space. I was not only able to make the listening mechanism work much better, and across devices, the process of posting new audio also was greatly simplified.